The Smartdriverclub connected solution now includes service booking. Launched some two years ago to save drivers time and money, the monthly subscription service provides drivers with a plug-in device that goes behind the steering column, providing the ability to carry out fuel and expense tracking, as well as well as mechanical alerts, emergency service crash alerts, theft and breakdown recovery, and reminders for MOTs, taxes and car services. 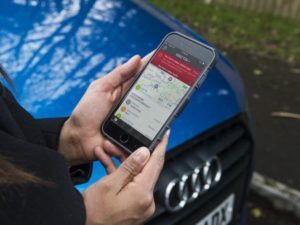 The partnership with BookMyGarage enables members to also quickly and easily book a garage of their choice, based on criteria such as price, location, reviews and availability, as soon as they are alerted to do so via the Viewpoint Smartdriverclub’s app.